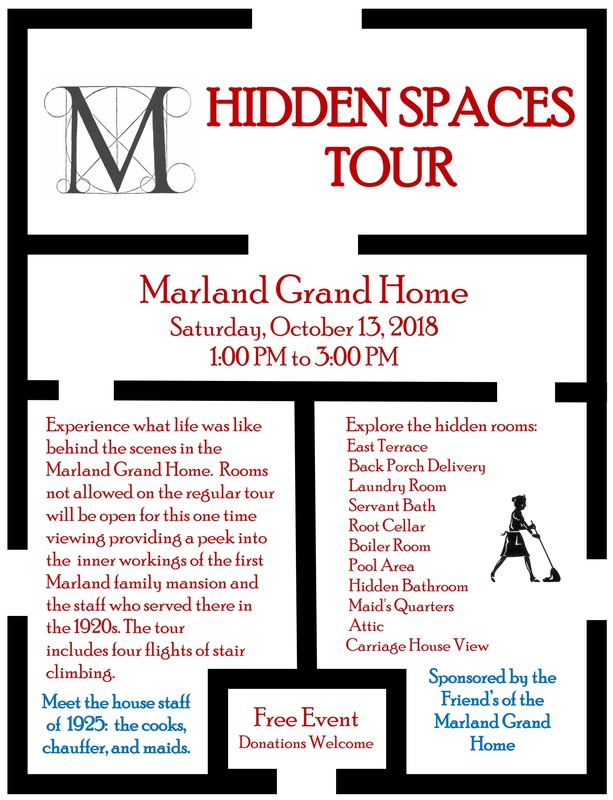 The Friends of the Marland Grand Home is hosting a free Hidden Spaces Tour on from 1 to 3 p.m. Saturday, Oct. 13. Wear your climbing shoes because there are a lot of stairs. You’ll explore from the basement to the attic and see areas not open on regular tours. The hosts and hostesses also will provide information about the Marlands’ servants. Take your family to lunch then head over to Marland’s Grand Home. And if you’re lucky, you just might see a guide who serves on the Ponca City Historic Preservation Advisory Panel!